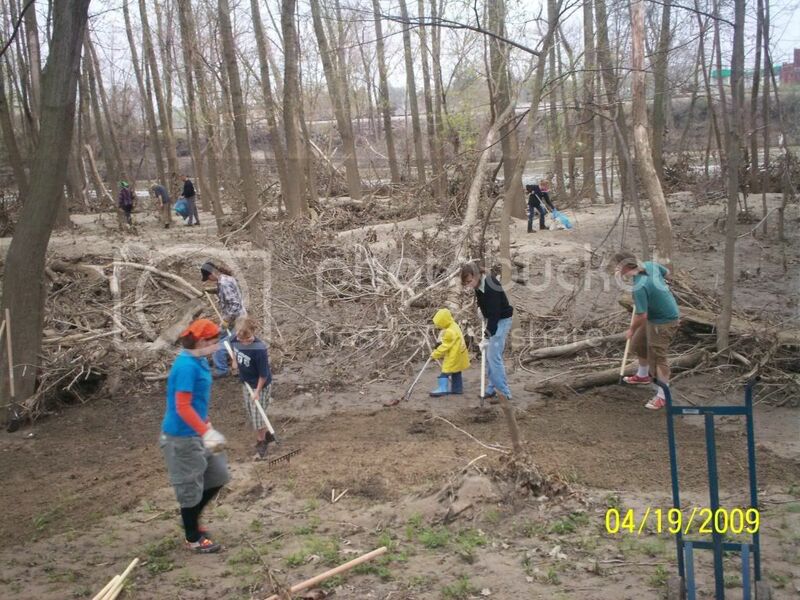 SAVE MAUMEE Earth Day River Clean-Up 2009 Report, Updates, and Thank-yous! Celebrate, River Lovers! 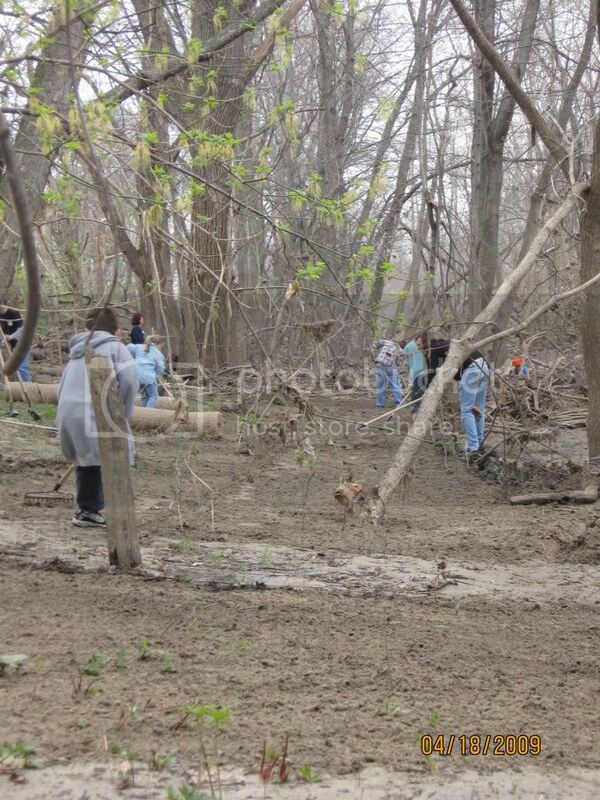 LOOK what you have done for Earth Day 2009 on the Maumee River! The River thanks you from its bottom! TRULY, THANK YOU! This work could not be accomplished without YOU! 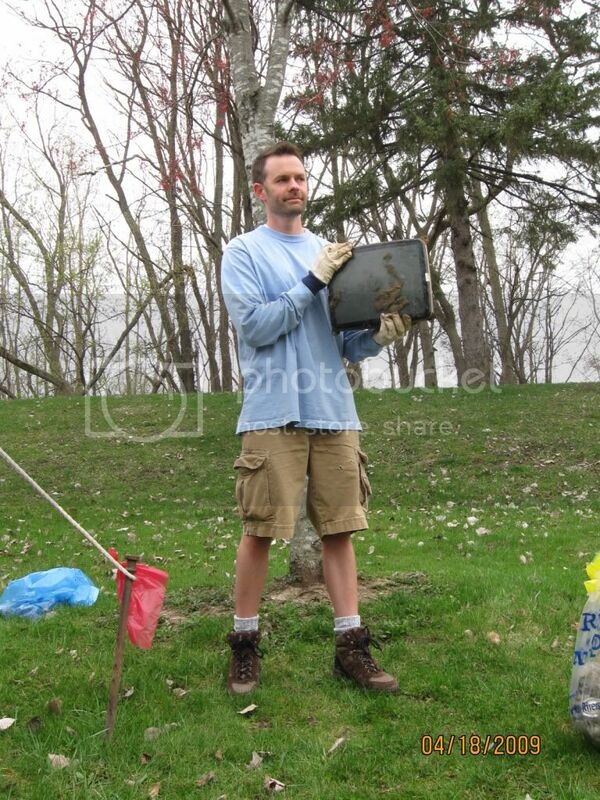 Sunday April 19th, 2009 we had 194 signatures for participation to assist our plantings and garbage removal! YOU planted 3 acres worth of native riparian “Midwestern Prairie Grass Erosion Control Mix” underneath 4,000 sq ft. of erosion control mats and other barren areas to reduce erosion/sedimentation. Common names of the mix contains Big Bluestern, Canada Wild Rye, Virginia Wild Rye, Indian Grass & Switchgrass that are intended in slope areas where rapid soil stabilization is required and where a native grass community is desired. YOU planted over 200 native plant plugs (previously started seedlings)! These retain deep tap roots that hold them in place when the area floods. (after 5 years of growth) ALL these hearty plants are able to live through drought or flood due to their deep tap roots and are ideal for our riverbanks…it is even improving the areas plant diversity! 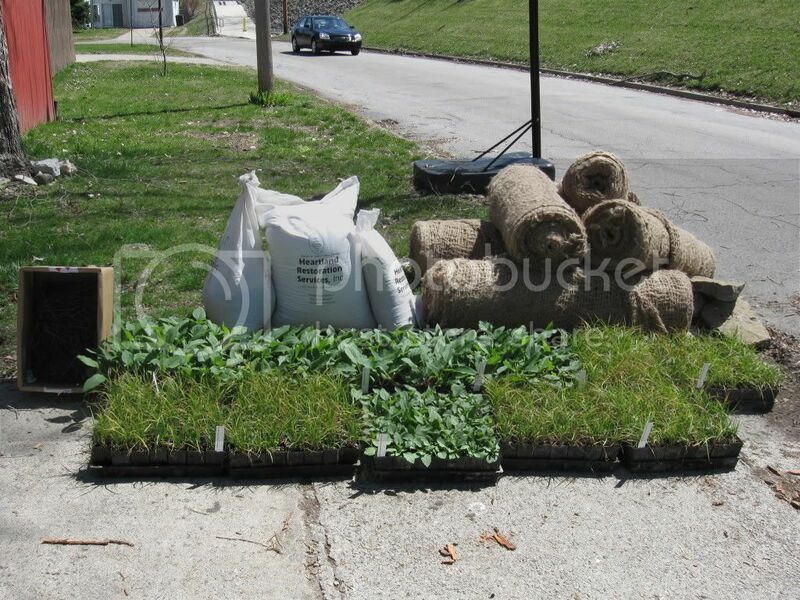 Common name for the plant plugs; Cup Plant, Brown Eyed Susan, Palm Sedge, Crested Sedge. YOU planted 25 Persimmon Trees, 25 Paw Paw Trees (Indiana Banana) – These are native fruit trees that are disappearing from our riverbanks. We want to reintroduce these trees to the area and these saplings will be ready to bear fruit in 10 years! 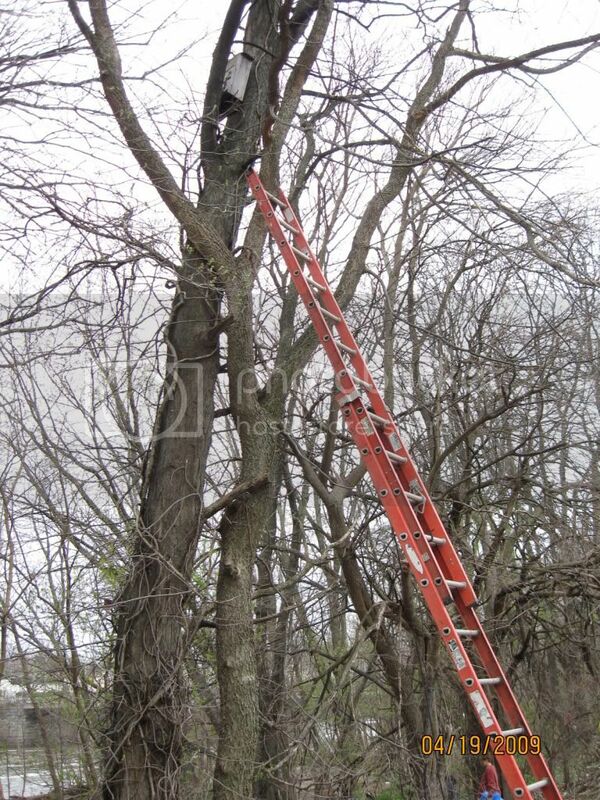 #1 They are understory trees and need wet/shady conditions to thrive. #2 Most of the forested corridors along the riverbanks in Allen County have been removed, which would provide the canopy for these trees to grow. 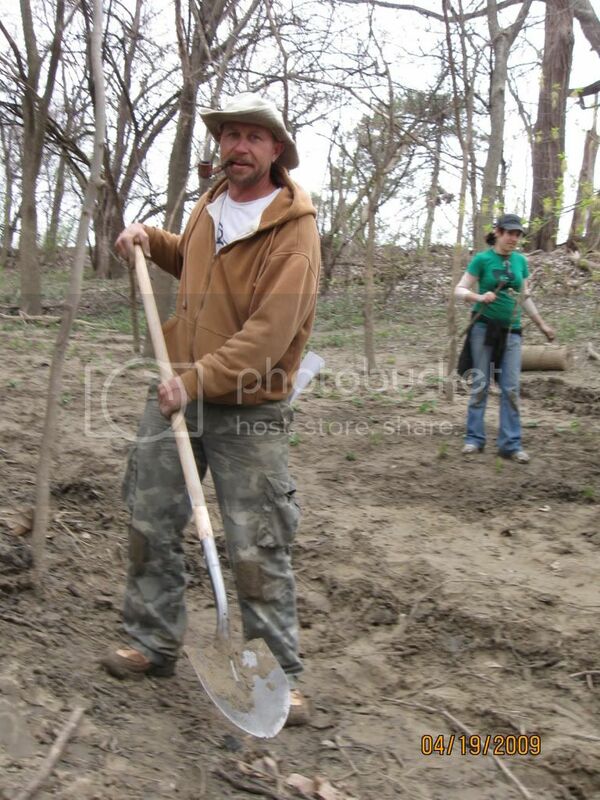 TOTALING 390 TREES YOU PLANTED at Save Maumee’s Earth Day 2009! 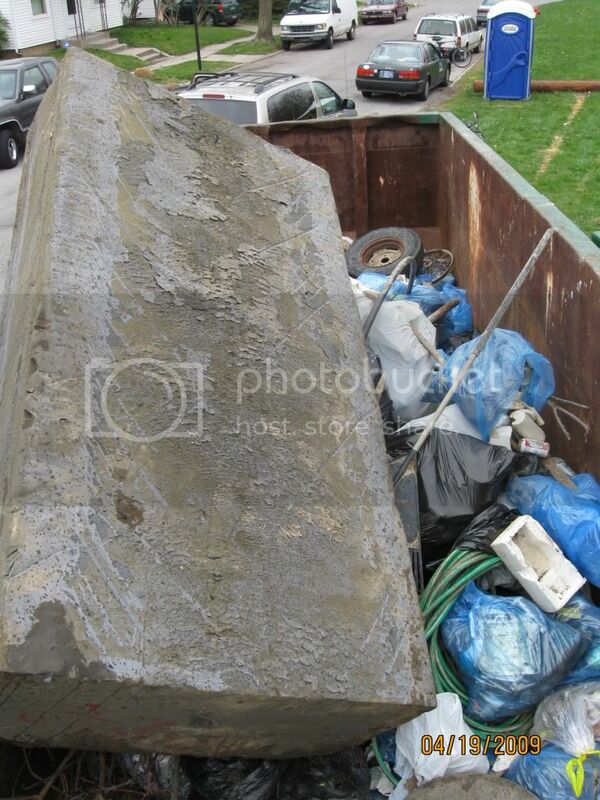 Largest Trash– A thick piece of foam/Styrofoam/floating device? WE don’t even know what it was! 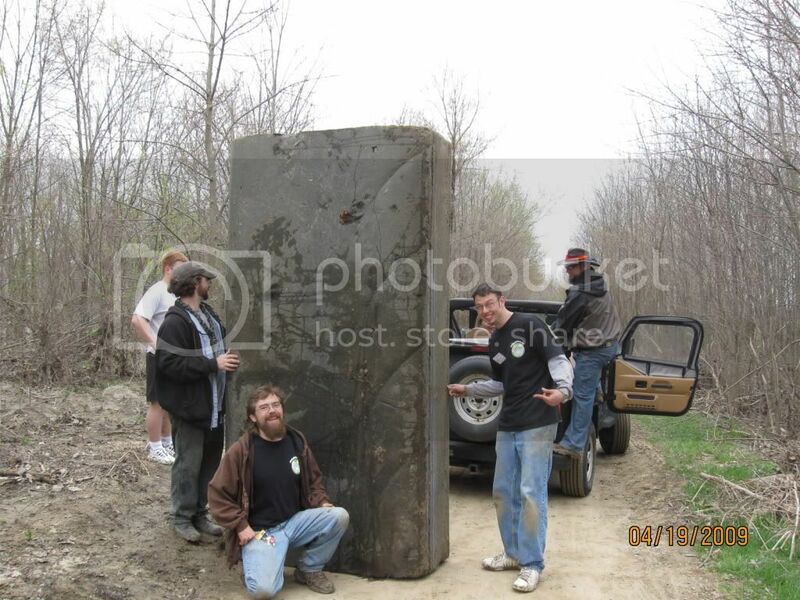 But it measured about 7ft tall by 4ft wide by 2 ft. thick!!! It was sitting among some 3 year old Indian Grasses that you planted previously along the riverbank! IT WAS SO BIG and WATERLOGGED that we needed all these people! - Pulled Out by 5 people the guy in the white shirt WHAT IS YOUR NAME! - Of course Save Maumee’s Own helped pull it out– Ryan Bailey, Davis King. Most Contaminated Trash– A television with the potential to house Mercury, PCB’s and other environmental problems. Pulled out by Rich Lee, Host of Little Brother Radio Show on WBOI. He interviewed Save Maumee last week on his show! 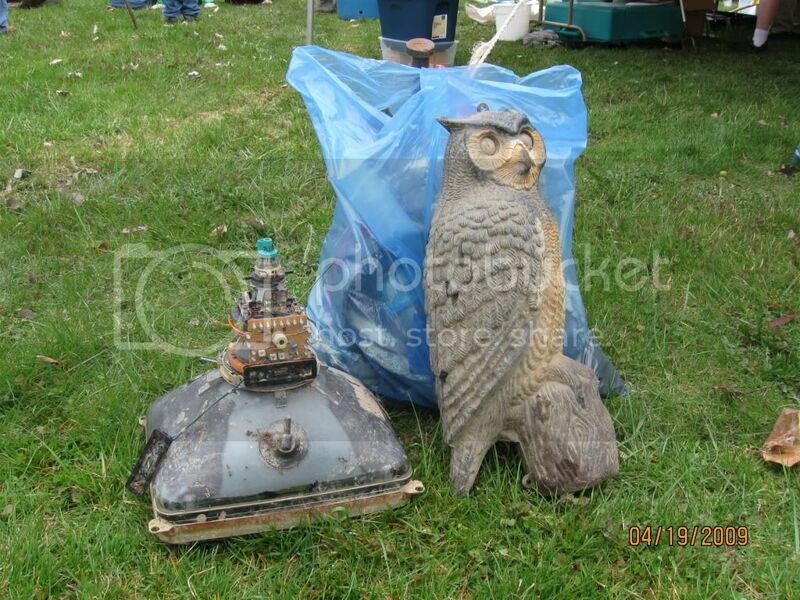 Funniest Trash– A plastic life sized Owl! 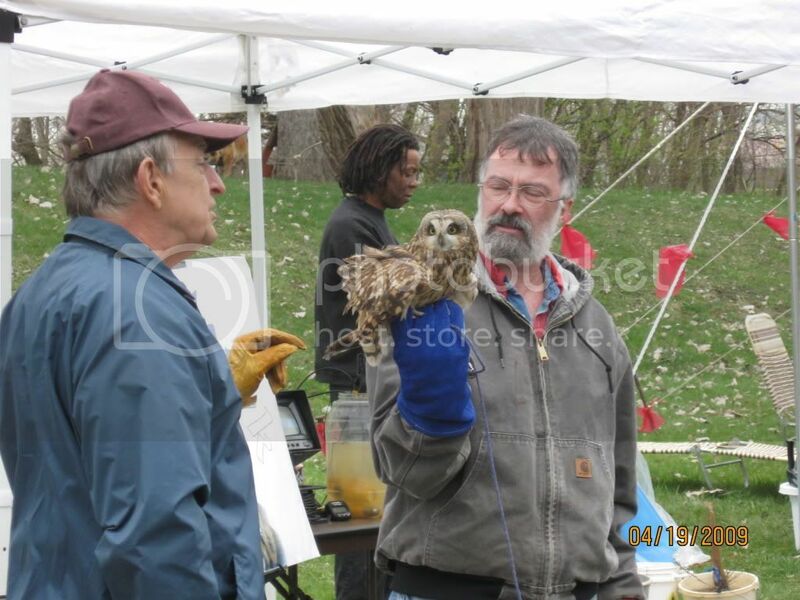 Brought up to the tent about the same time Soaring Hawk had their live owl demonstration by Jerry Barker from Top Notch Tree Service. Most potential to contain West Nile – 6 tires – One of which was a 6 ft. tractor tire! Most trees planted Winner: Bruce Allen, who represented the Maumee River in Washington D.C. this year thanks to Healing-Our-Waters! Most Plant Plugs Planted Winner: Ellen Ley from Garden Angels. Most interesting Dead Thing – A Little Brown Bat was found by Waylon Fisher – bat expert Bob Walton said that it looks as if he starved to death from being born too early in the season. 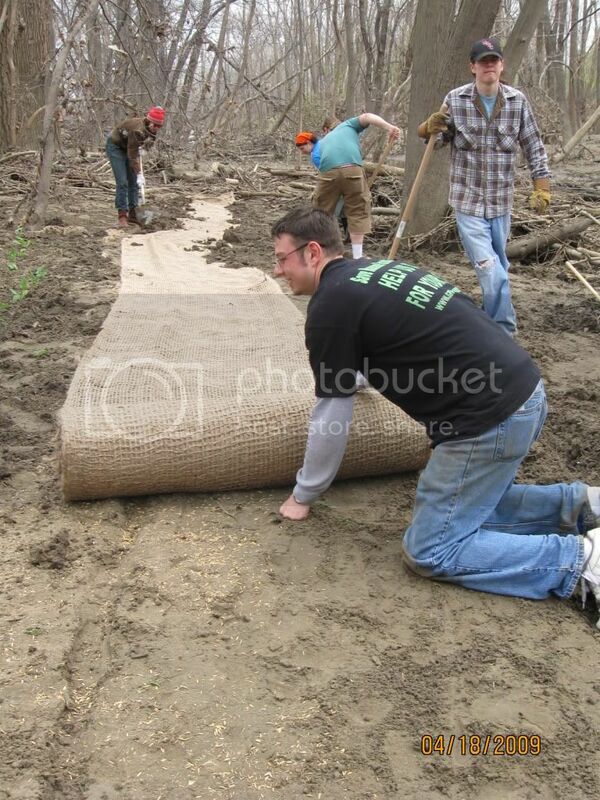 Most Erosion Control Mats Secured Winner(s) - Celia Garza, Andy Cecava, Sharon Schorey, Dylan Easterday, and the guy with the corncob pipe, that showed up and worked so hard, for so long – THANKS! NOW THAT is how a rain OR shine event happens! It was a blessing because it soaked all the plantings of the day and they are doing GREAT – Trees are budding, grasses are sprouting! 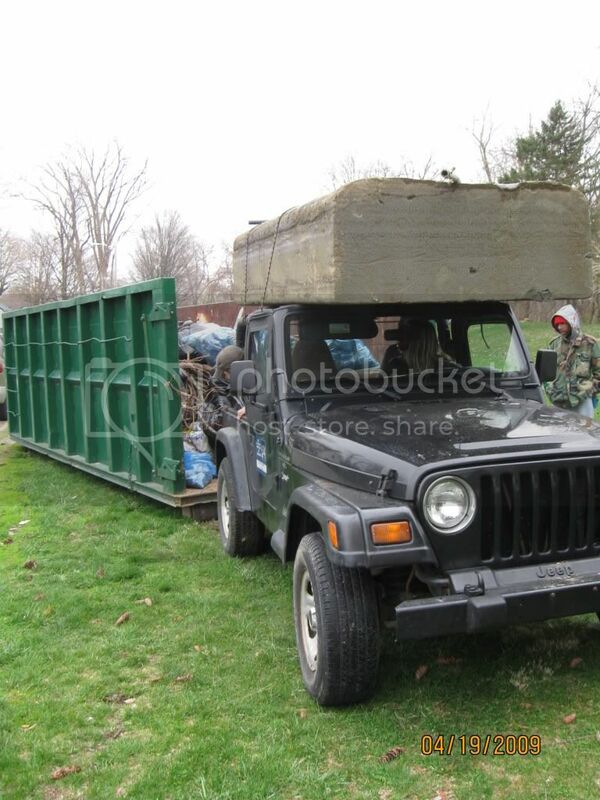 Total Trash Removed = 2 TONS of garbage, filling a 30 cubic yard container. Total Miles of northern streambank cleansed – 1.5 miles - including “The Ravine” self-dug bike trail which is considered one of the top 10 self-dug bike trails in the USA. Soaring Hawk brought a Short Eared Owl & Red Tailed Hawk and spoke about their habitat on the riverbanks – What beautiful animals! Gene Faron, Biologist – took Maumee River samples to view under a microscope and discussed life present in the water! Jain Young, Herb Specialist - took volunteers on an “Edible Herb Walk” to show what you are missing on your plate at home – native home grown food grown right here! 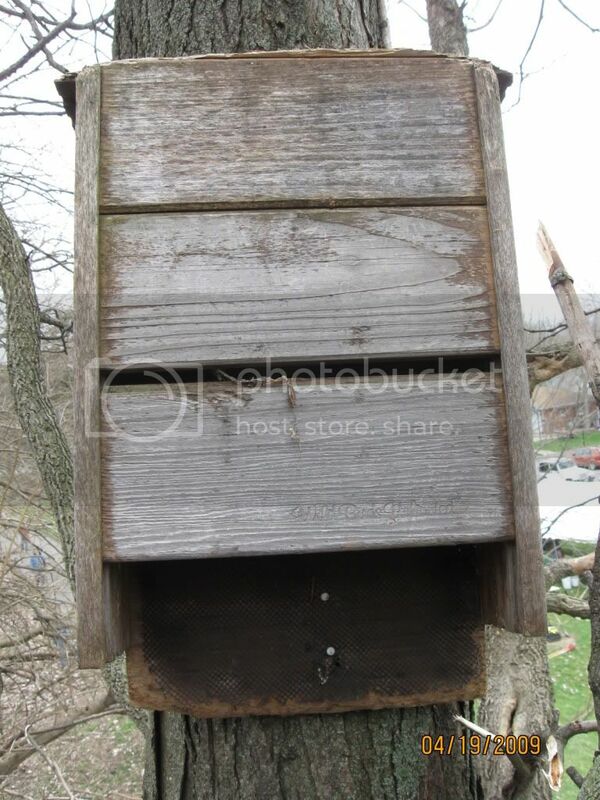 Save Maumee’s John Scherer hung a bat-box to attract bats that are able to eat 1,000 mosquitoes per bat, per night! 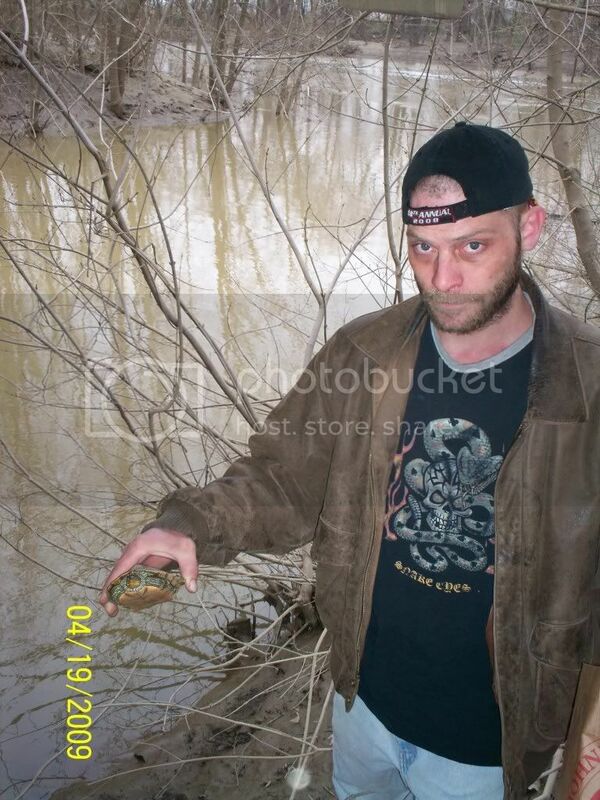 Save Maumee friend Roach Released native map turtle "Frank" back to the Maumee! Enviroscape that demonstrates what a watershed IS and how YOU effect it and face-painting are both always a hit! Canoe Clean-Up, Can YOU Clean-Up? – Saturday September 12th – NOON-5pm at Fort Wayne Outfitters & Bike Depot on Cass St.
We pass out free canoe rental for participants for the day with a photo I.D.! It will be too late in the season for plantings…but never too late in the season for garbage removal and free paddling! Little Bro Radio’s 2nd Anniversary Concert at C2Gs Wednesday, May 27 at 8pm. Summerfest June 5, 6 & 7th at Headwaters Park - A 3-day music festival and celebration of local culture –fund-raiser event for Heartland Communities (our fiscal agent and partner organization) - Celebrity flag football game - skate-off - freebees - art - music – vendors – alcohol 21 and over – merchants – nonprofit booths and informational presentations - etc. Contact ftwsummerfest@gmail.com to help make this event great! I want you to know what goes into the work behind the scenes to make an event this large and this FUN to happen! Forester Tom Crow & Allen County Soil & Water Conservation District – donated ALL the trees except the fruit trees! Soaring Hawk Raptor Rehab – Short-Eared Owl, Red-Tailed Hawk demo. Bob Walton and his assistant spoke about these local raptors for 45 minutes! City of Fort Wayne – Waived our Assembly Permit Fee for the first time! Wal-Mart Foundation - gave a $1,500 cash donation that bought the seed/plugs = LARGEST DONOR SO FAR! Exterminate All Rational Thought, and Dave P– Live show, ended up being later in the day due to weather! Larry McFadden - Fort coming to participate and giving free chair massages to fellow participants again this year! Davis King – largest supporter of Save Maumee, Abby’s fiancé! 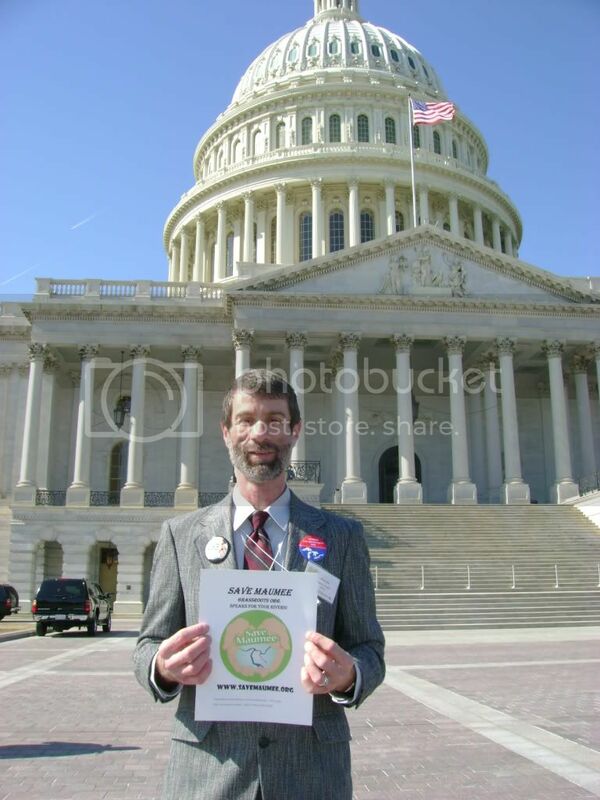 Greg Konger – for a whole year’s worth of financial support! Lydia Savitz - Port-A-Jon donation – …so people don’t pee 500 ft. from water! Grace Strahm - put Save Maumee on the web map! 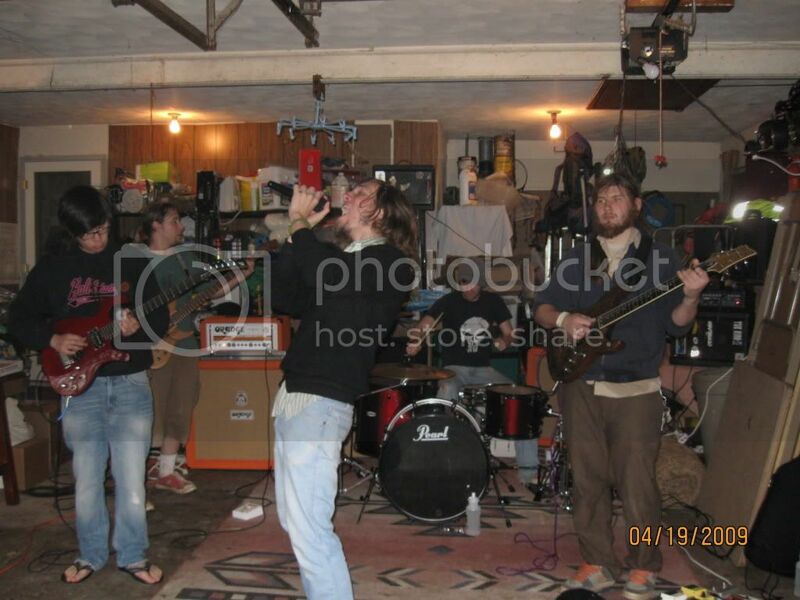 Twitter, MySpace, A Greener Indiana, Facebook – BE OUR FRIEND! We send out approximately 5 e-mails per year…don’t worry NO SPAM! Ryan Bailey - for doing whatever the river asks of him – thanks bro! 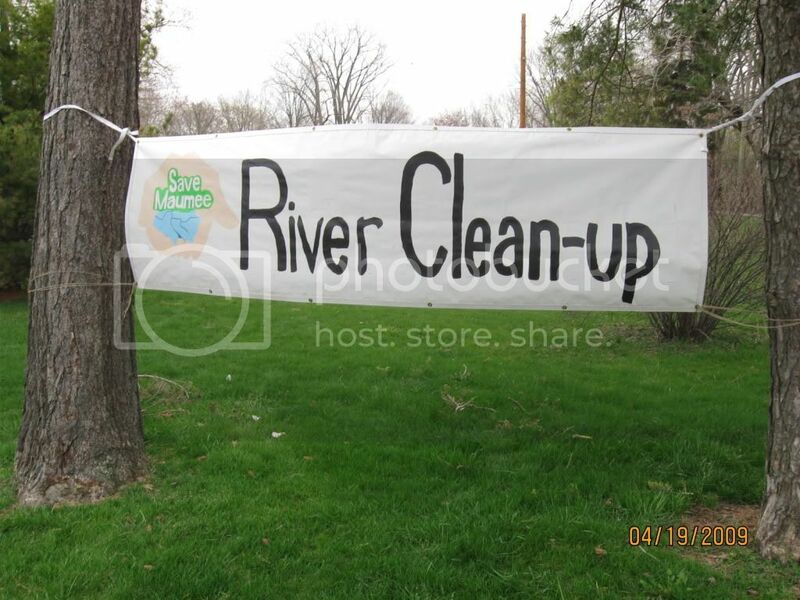 Red Lobster - for donating a used plastic advertisement and summitcitynoise.com painted our “Save Maumee River Clean-Up Tapestry”! Neighborhood friends Beverly Hume, Craig Thorn, Michelle Ferguson, Jennifer Fletcher, Mary Brady & Derek Dailey kicked down cash! …AND ALL OUR FRIENDS AND FAMILY WHO HELP EVERYDAY AS VOLUNTEERS - THANKS and if we forgot to include you DOUBLE THANK YOU! The heart of grassroots belongs to people who donate time or supplies or BOTH! 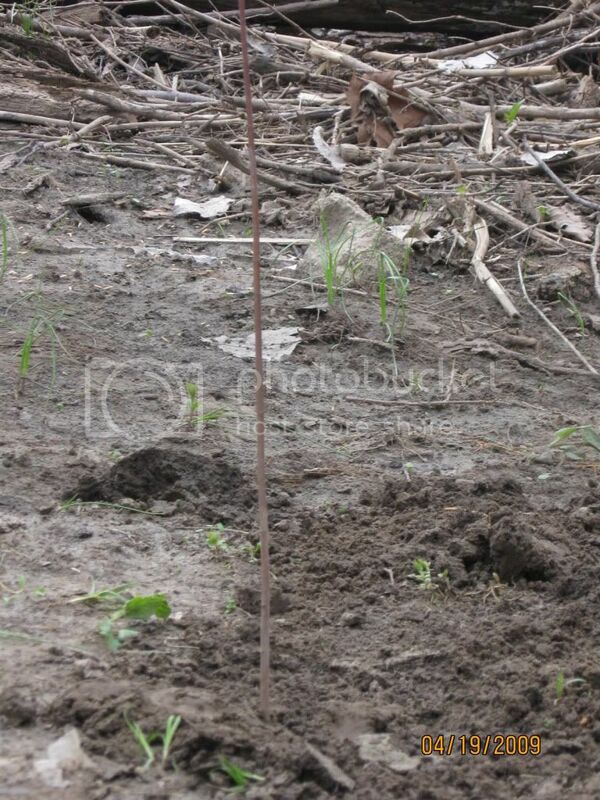 Now the seedlings are coming up and the trees are budding even after being under water for 2 days (April 21st & 22nd). The techniques are working! The Persimmon are budding and the Paw Paw will bud later and all other trees are almost puyting out LEAVES! The Paw Paw (Indiana Banana) will take longer because all of its energy is being expended on sending out a deep tap root and will bud soon. All of us should feel very successful! These are the suggestions by the experts! THANK YOU FOR MAKING THIS HAPPEN! Please continue to support us by attending! PBS, FRONTLINE “Poisoned Waters”– an extremely informative program to help you understand non-point source effects that face watersheds today in the USA. 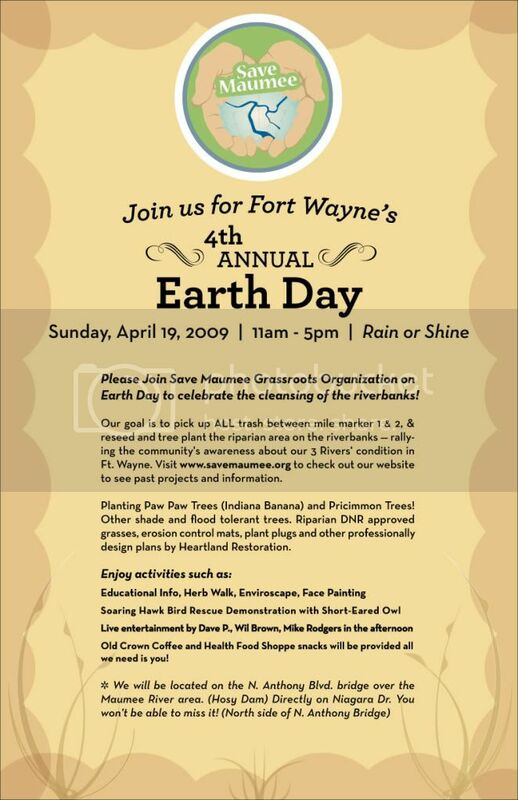 •Because of YOU Save Maumee has successfully raised enough money for Earth Day 2009 to plant 390 trees, 3 acres worth of native DNR approved riparian seed, 4,500 ft. of erosion control mats and 200 plant plugs (previously started plants) to be installed on OUR riverbanks! •Consultants have been asked the best streambank management practices….this is it! 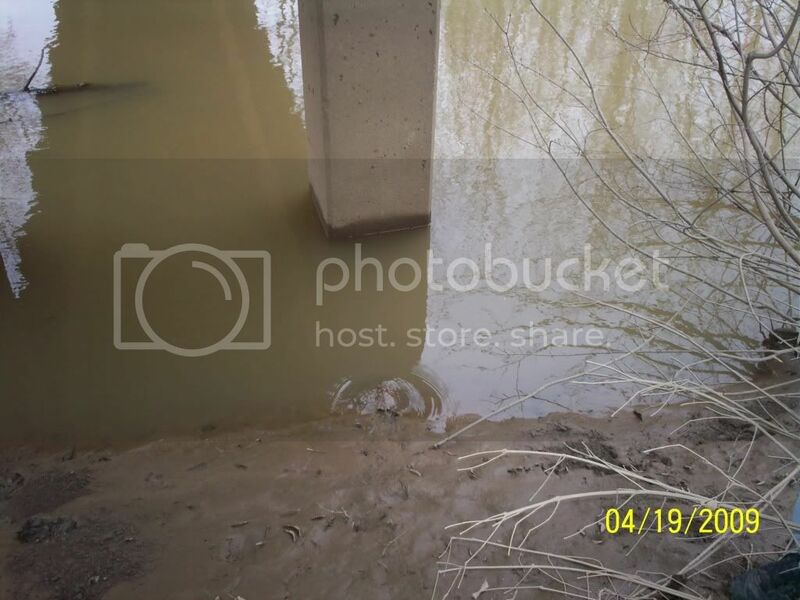 We have raised over $3,000 for today’s erosion control techniques in in-kind and cash donations for this hypothesis driven riparian project! We could not do this without our volunteer’s back muscles. 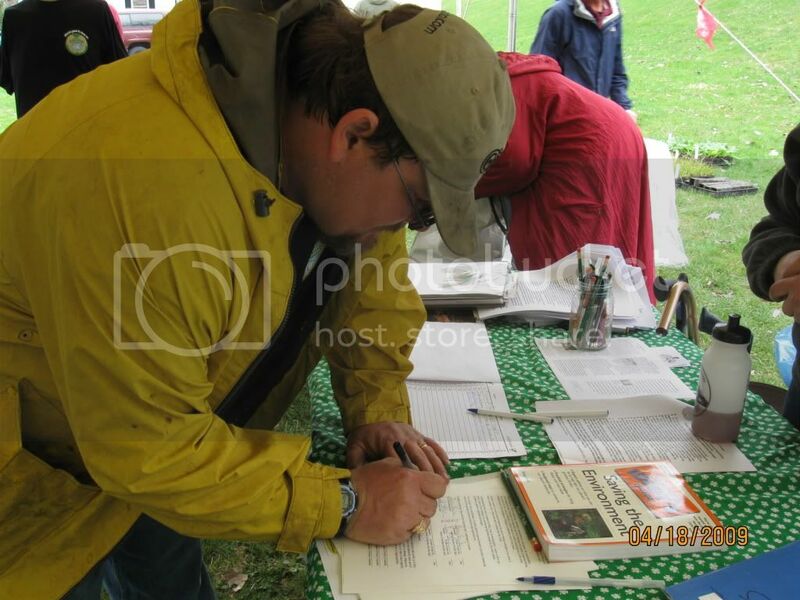 •Almost 200 volunteers on Earth Day 2008 last April & 60 volunteers at the Canoe Clean-Up, Can YOU Clean Up during the rainy Sept. event! Namaste! Translates: I respect the divinity within you that is also within me…or…The light within me honors the light within you! Truly, thank you! 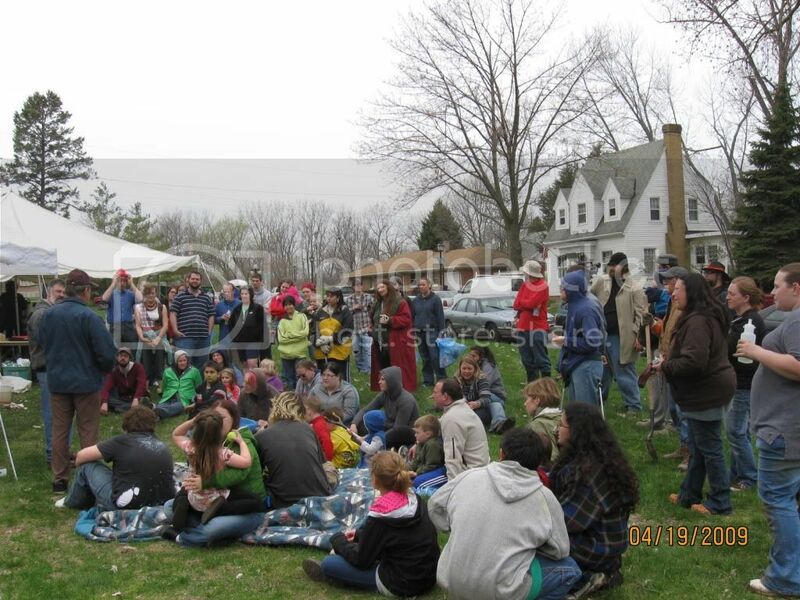 •Got the word out in 2008 about our rivers at Sol-Fest, Frieman Family Fun Nights, Maumee Music Fest, Boy & Girl Scout Groups, Associated Content, St. Jude School, Little Brother Radio, Rock 104, Today's Catholic, Newscenter 33 & 21, Whatz Up Magazine, Canoe Clean Up Video on ACCESS Ft. Wayne, neighborhood association letter & speaking to anyone who will listen. 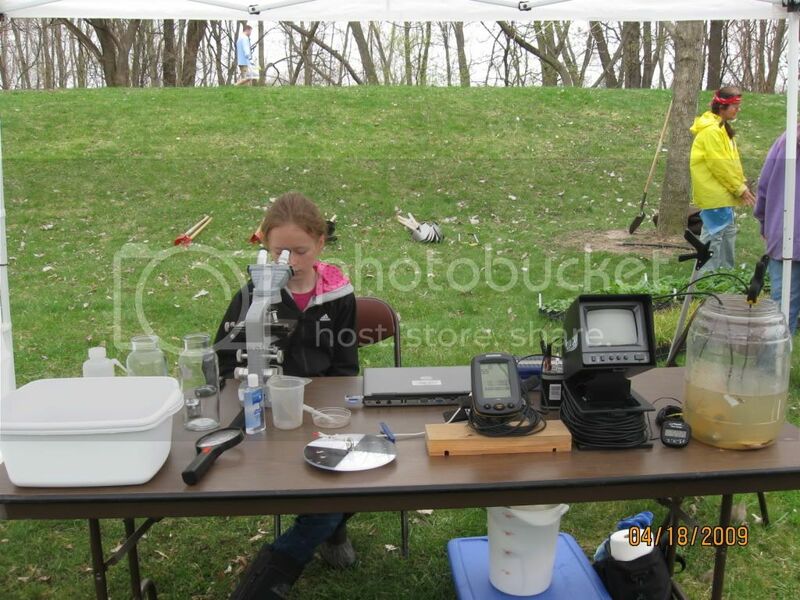 •Abigail will receive certificates for “Watershed Coordinator” & “Master Naturalist” in June, which will be used to put together an Upper-Maumee Watershed Management Plan for Indiana. •Our 3 Rivers were represented in Washington DC for Clean Water Week; sponsored by Healing-Our-Waters, Representing Save Maumee – THANK YOU Bruce Allen! • Army Core of Engineers & National Resource Conservation Service has requested information about the Upper-Maumee River Basin for the Western Lake Erie Basin evaluation. Save Maumee sent ACE a package of information that weighed 13 ounces…100 papers or so to inform them of local conditions and sent NRCS all the past 6 months of research! The Maumee’s outlet is in Lake Erie’s Western Basin. 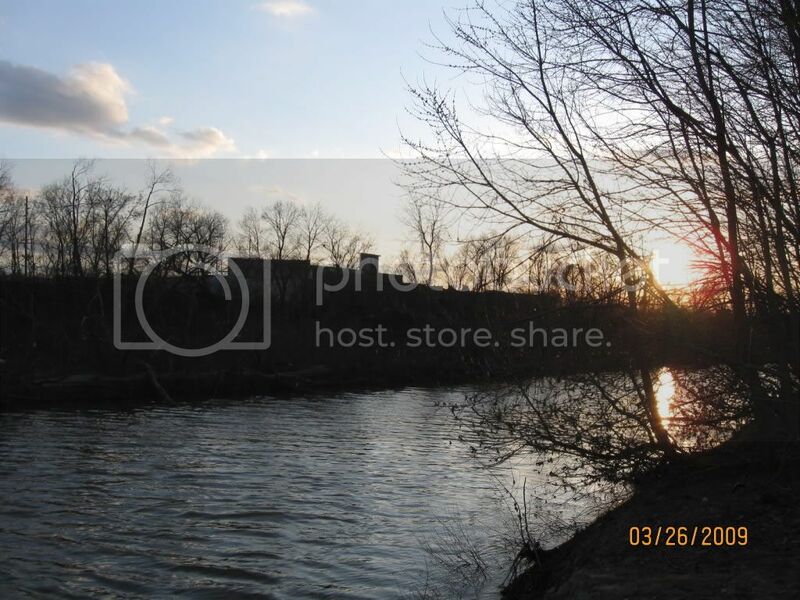 The Maumee River is also the largest and longest contributing stream to The Great Lakes in the USA. 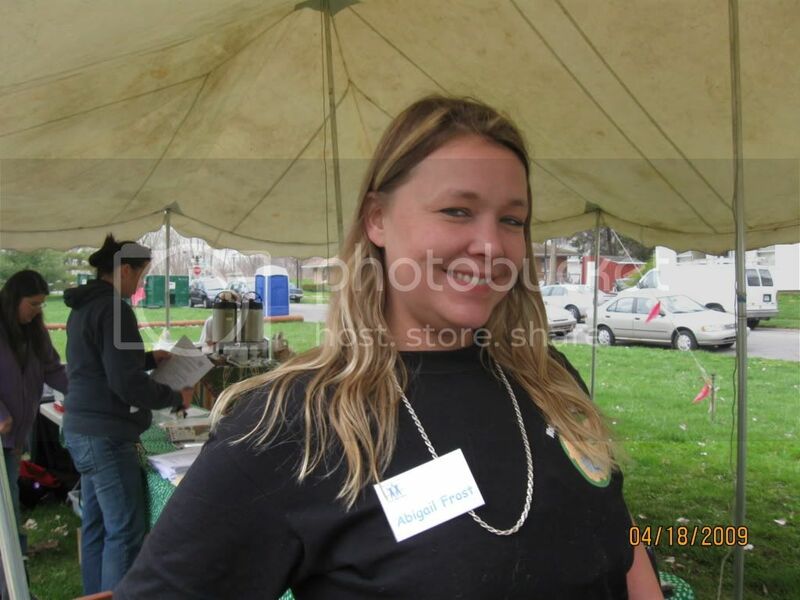 •Abigail Frost participated in Ft. Wayne’s Rain Garden Program & Green Business Program – both have great ideas to engage your home in efficient practices and real sustainablility! These programs are currently taking volunteers and are FREE! Try one! •Abigail spoke at GreenFest put on by Waynedale Green Alliance after Mayor Tom Henry…he listened to every word and extended an invitation to his office! Thank You Mayor! -Abigail and Grace were present at Sol Fest on May 3 & 4, 2008 and on May 2 & 3 2009 giving the Enviroscape demonstration, and educating the community on the state of their River and inviting our community to get involved with Save Maumee projects and River Stewardship. Save Maumee Grassroots Organization was formed to create awareness about the conditions of the Three Rivers in Fort Wayne, IN, while facilitation the ecosystem restoration projects. Revitalizing the Upper-Maumee Watershed will protect and restore the environment, while improving the economic, aesthetic and recreational value. We are organizing projects that place a high priority on monitoring, developing, protecting and restoring rivers with a positive environmental impact. Ultimately, we want to repair and improve the St. Joe, St. Mary (upstream), and the Maumee Rivers (and downstream) to help reverse years of pollution. This will be accomplished through an Upper-Maumee Watershed Management Plan for the State of Indiana. The river thanks you from its bottom! Invest in Natural Capital! How will planting trees and grasses help? • Siltation/erosion/sedimentation is the #1 pollutant in our watershed. 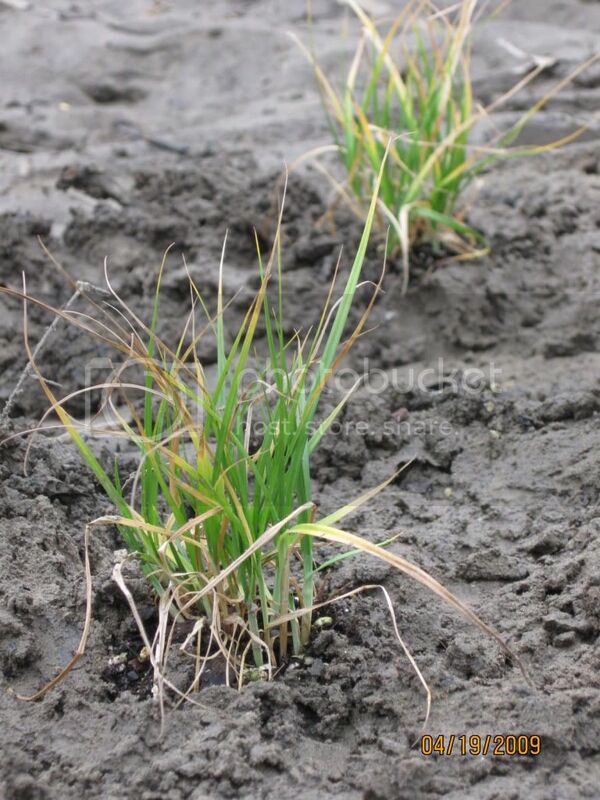 The grasses will help to settle out suspended sediment in the water to help hold down the soil that could be washed away because there is nothing to hold down the barren soil when the water comes rushing down during a rain event. • Grasses filtrate sediment by holding water for a longer period of time so the sediment settles to the bottom instead of traveling downstream. • Removal of nutrients from the water before it passes downstream. • Natural removal of chemical pollutants like fertilizers and waste materials removes nitrogen, phosphorous and toxins from surface water. Whatever you like to use as your online activism (an oxymoron)…we are there! Please help us to speak for your rivers…for your rivers have no voice! You spoke loud and clear on Earth Day and we all thank you for that!